Finally a few dry days! I wanted to plant earlier but it’s just been so wet around here lately and I didn’t want to risk compacting the soil. I ended up planting 15 oz of seed on my 200 sq ft. which is a lot. I counted an ounce worth and there was 625 seeds so thats 9,375 seeds total divided by 200 sq ft. equals 48.875 seeds per sq ft. Yikes, twice as many as what’s usually recommended and more than I planned. Oh well, I might lose some to animals and not all of them may germinate so I’m not going to sweat it. I even have another 5 ounces in case I have to re-seed some areas. I broadcast seeded them and raked it in. 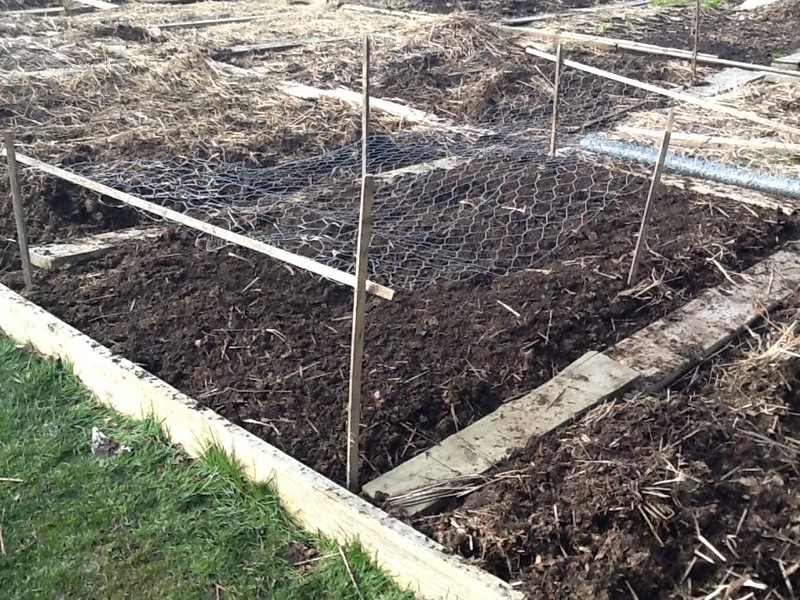 The remay warms up the soil and discourages birds, it worked really well last year. 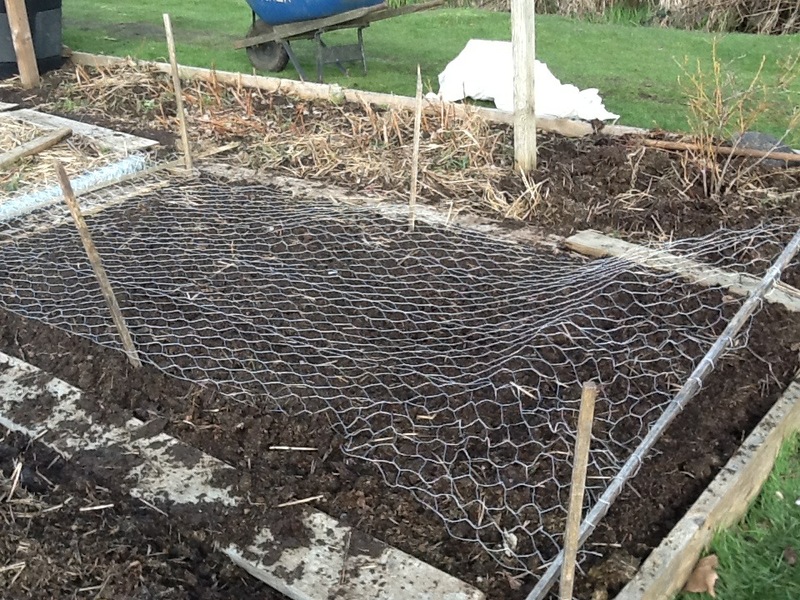 Here’s the video to show the chicken wire set up and here’s a link to the Northern Idaho Fertilizer Guide on Spring Barley. I’m not using chemical fertilizers this year, I have in the past but I try to avoid it, it’s an interesting read anyway.